As you finish wrapping your presents and trimming the tree this holiday season, it is helpful to find a way to ease some of your concerns about the security and performance of your small business. Understanding the benefits of effective patch management is important for every small business, as it is a key tool your company can use to secure and improve your operations. In this blog post, we will discuss what patch management is and explore the reasons that it is so important for your small business. Patch Management is the updating or patching of every component within a company’s IT network to ensure that they are optimally performing and protected from cyberattack. IT network components include desktops, laptops, mobile phones, routers, firewalls, servers, operating systems, anti-virus solutions, vendor and proprietary software, and other parts of a company’s network. The update or patch is a piece of code that has to be installed in the software of each component either manually or automatically. A company can decide either to manually deploy patches or use an automated patch management system to perform this important task. Regardless of company size, it is normally more efficient to use an automated patch management system to reduce the labor time and cost needed to monitor and install patches. Automated patch management, which is done through the installation of a client agent on the network, generally reduces the cost of patch deployment and is more time-efficient. The internal or external network administrator can use this agent to effectively monitor and configure patch distribution and generate reports on each IT component’s patch status. The main reasons effective patch management is needed is for the security of your IT network as well as to ensure your company’s optimal performance. 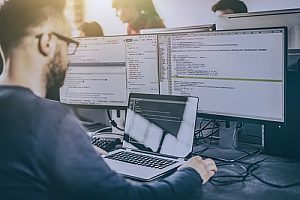 System vulnerabilities usually arise when a flaw in software coding is discovered and cybercriminals try to take advantage of it to gain unauthorized access to sensitive data on a company’s network. Data breaches can cause costly work disruptions and damage your company’s brand and reputation. Effective patch management will protect your company from this danger. 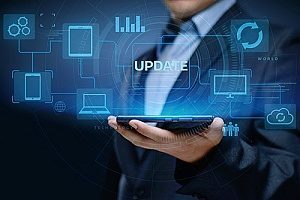 Software design flaws can also negatively impact the performance of vendor and proprietary software and IT components, and they need to be promptly corrected by a coding/update or patch. Your company wants to be operating all of its IT components at their most updated and productive levels. Healthy patch management will keep your IT network operating seamlessly. 57% of business security breaches were due to an unpatched vulnerability. 34% of affected organizations knew they had unpatched vulnerabilities, but they took no actions to protect themselves. An average of 50 new vulnerabilities (which could be easily addressed through patching) were discovered every day throughout 2017. This disturbing number was almost double the amount in 2016 and more than three times the amount in 2015. This number is estimated to increase in 2018 and beyond. Despite the well-publicized warnings and the relatively straightforward remedies provided by patch management, too many companies still fall short in this area. This was demonstrated by the widespread nature of the WannaCry attack, which exploited a vulnerability that had been patched months before. Companies had ample time to prepare and protect themselves, but far too often, they did not take the proper preventative steps. 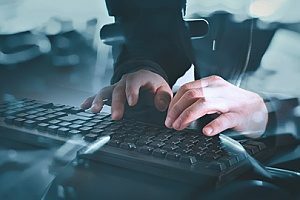 Another example of this too common negligent behavior is the continuing popularity of the exploitation of the remote code execution in Windows common controls, which is known as CVE-2010-2568. There were patches developed for this vulnerability all the way back in 2012, but there are still a considerable amount of companies and users who never updated their operating system, and they continue to pay a considerable price because of security breaches. 99.9 percent of cyberattacks are based on commonly found vulnerabilities that could be easily addressed by an effective patch management system. Almost a quarter of devices are currently using out of date anti-virus solutions. Anti-virus programs that are not patched will increasingly provide less protection as they are not updated to prevent the latest attacks. We recommend you work with a trusted IT Support partner such as Network Depot to design and execute automated patch management as a crucial part of a total endpoint management solution. An experienced IT partner will know the best patch management system to utilize for your unique small business. A trusted IT partner will know how to install the settings of an automated patch management system to best monitor, update, and secure your customized IT network. They will be able to schedule automatic updates for the software and devices in your infrastructure as well as any devices used remotely. They will also make sure that, whenever possible, patches are installed outside of normal business hours to keep workflow disruptions to a minimum. Another key advantage of an automated patch management system managed by an IT partner, is that they will lessen the danger from the sophisticated and dreaded “zero day attack.” This term refers to the .1 percent of cyberattacks that occur in the small window (sometimes even on the same day) when a vulnerability has been identified and a specific patch is in the process of being produced to repair it. With automated patch management, your system will be monitored and protected against these malicious occurrences, too. An automated system will immediately be aware of any suspicious behaviors that indicate a zero day attack, quickly contain any potential damage, and backup and restore operations in a worst-case scenario. After working with your IT Support team to ensure your small business is secure and operating optimally with an automated patch management system, you will be able to rest easy over the holidays and the year ahead. With these important matters addressed, we recommend that you do some caroling, drink a glass of eggnog, and happily ring in the new year!